Office Hours: Retired: No office hours. 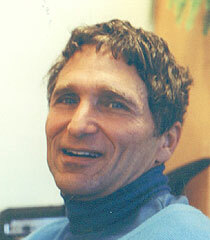 Professor Liberman received his Phd from the University of California, San Diego in 1981, and trained as a postdoctoral fellow in social psychology at Indiana University, 1982-83. He joined the University of Oregon in 1983. His specialties are ethnomethodology, intercultural communication, race relations, and social phenomenology. His 2004 book, Dialectical Practice in Tibetan Philosophical Culture was translated into Chinese, and parts of his 2013 book, MORE Studies in Ethnomethodology have been translated into Italian and Portuguese. Since his retirement, he has received appointments in Italy, where he is University Research Fellow at the University of Trento, and Denmark, where he is Hans Christian Anderson Visiting Professor, and he has had other assignments in Brazil, India, and China. He is presently researching the practices that involve the production of objectivity in professional coffee tasting, and undertaking a long-term comparative study of negative dialectics in Tibetan Buddhist and postmodern epistemological thinking. 2013 - More Studies in Ethnomethodology. Albany, NY: SUNY Press. 2009 - Yoga for Surfers. Huntington Beach, California: Yoga Shakti Wellness Center. 2007 - Husserl's Criticism of Reason, With Ethnomethodological Specifications, Lanham, Maryland: Lexington Books. Chapter 5, “Garfinkel’s Uncompromising Intellectual Rigor,” translated into Italian in Quaderni di Teoria Sociale 11 (2011), pp. 103-152. 2004 - Dialectical Practice in Tibetan Philosophical Culture: An Ethnomethodological Inquiry Into Formal Reasoning, Lanham, Maryland: Rowman & Littlefield. Paper edition 2007. Translated into Chinese by Lau as Xi Zang Zhe Xue Wen Hua Zhong De Bian Jing Huo Dong, Beijing: China Renmin University Press, 2006. 1985 - Understanding Interaction in Central Australia: An Ethnomethodology of Australian Aboriginal People, London: Routledge. 2015 - Translation - The Panchen Lama’s Debate Between Wisdom and the Reifying Habit [bdag ’dzin gshags ’debs dgra dpung brag ri ’joms pa’i gnam lcags ’khor lo ’bar ba (“The Blazing Wheel of Thunderbolts That Split Asunder the Rocky Mountain of Egoistic Reflection”)]. With Introduction and Appendix including “Reflections on the Hermeneutics of Translating Tibetan: on translating bdag and bdag ’dzin”), Delhi: Motilal Banarsidass.